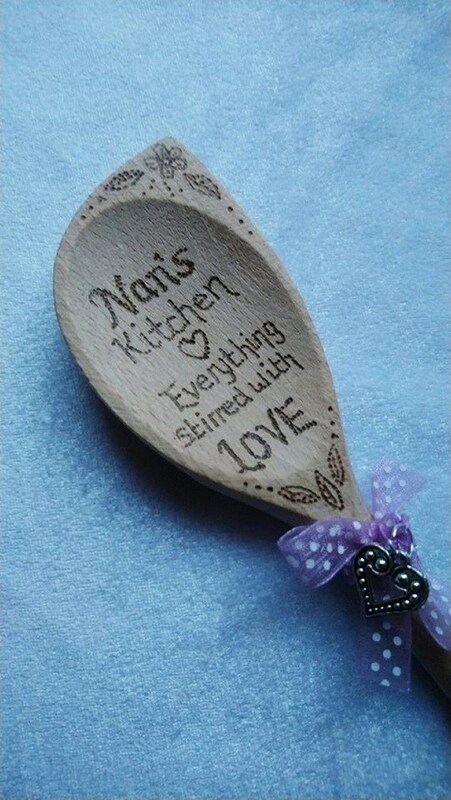 HomeOur Skills and Handmade CraftsGiftsPersonalised GiftsPersonalised Wooden Spoon with ribbon and seasonal charm. Finished with choice of coloured ribbon and silver Seasonal charm. Charms available now: Silver Heart or Silver Easter bunny / Egg charm. Please note these items are made to order so please allow 3 to 5 days before dispatch. If you need the item quickly, please message me & I will do my best to accommodate.